Junior League of Rockford hasn't added a story. 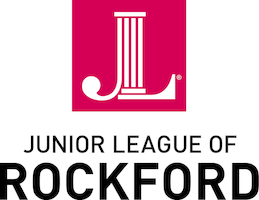 The Little Black Dress Initiative (LBDI) is a Junior League of Rockford (JLR) advocacy campaign held April 15 through April 19, 2019. We encourage JLR members and outside participants to wear black attire to illustrate we are united as an organization and to bring awareness to the mission of the Junior League of Rockford. All funds raised during the LBDI week will go towards the Junior League of Rockford’s mission of promoting voluntarism, developing the potential of women and improving the community through the effective action and leadership of trained volunteers. Our goal is for each Advocate to raise $200 or more! *Thursday, April 11 at 6:30 pm - Sustainer Spring Social and Little Black Dress Initiative Kickoff at PUB 815! Wednesday, April 17 from 11:00 am – 7:00 pm - Sip, Snack, and Shop at She She Boutique. 15% of sales will go to support JLR! Thursday, April 18 from 10:30 am – 11:00 pm - Eat at SAMS Ristorante & Pizzeria. A percentage of sales for dining in or carry out only (no delivery) will be donated to support JLR! Friday, April 19 from 11:00 am – 6:00 pm - Shop at Bath & Body Fusion. 10% of sales will be donated to support JLR! 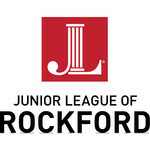 Junior League of Rockford hasn't posted any updates yet. Junior League of Rockford is managing the funds for this campaign.